The buildup to watching your football team play can be as intense as it is exciting. It doesn't matter if you've watched dozens of games or just a few, whether you're young or old. 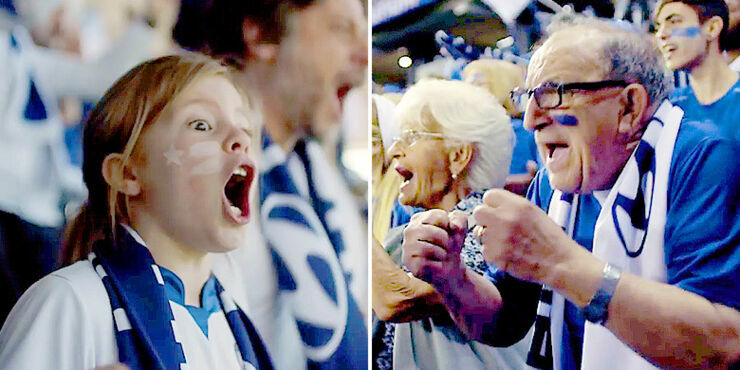 That's the sensation the two fans feel in this video as we see a little girl and life-long fan rush to make their way to a football match at the 2016 UEFA European Championship. But, typically, they get stuck in a traffic jam, a nightmare situation when you're striving to get to the game before kick-off. No fan wants to miss the start of an important game, especially one that's part of an international tournament.